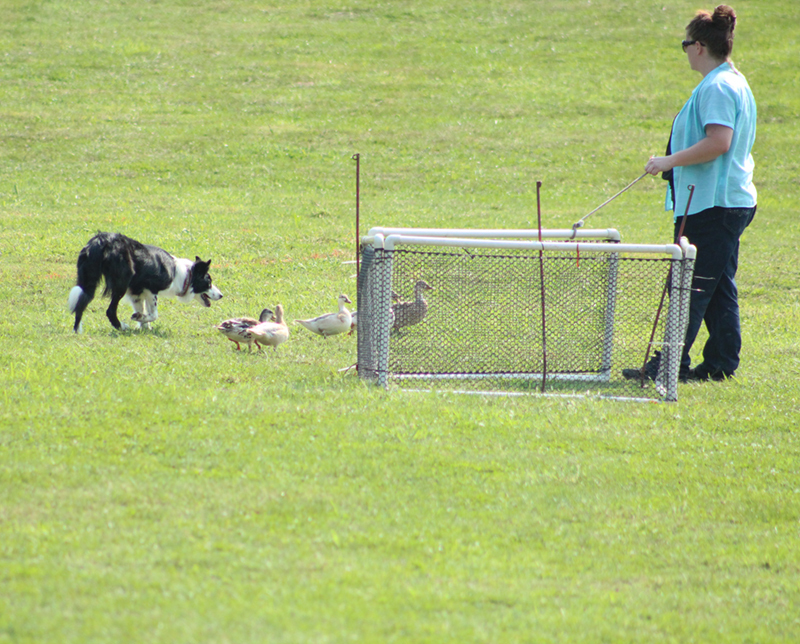 Five points earned from an Open Class at a traditional ISDS type field trial with at least 10 dogs in competition. The points are earned by placing in the top 20% of the class. For example: In an Open Class of 10 dogs two will earn points. The First Place dog will earn two points and the Second Place dog will earn one point. In an Open Class where there are 15 dogs in competition three dogs will earn points. The First Place dog will earn three points, the Second Place dog will earn two points and the Third Place dog will earn one point. Documentation of the point earning trial placements such as a copy of the Open Class trial results will act as point-earning qualifications. Fifteen additional points earned from an Open Class at a traditional ISDS type field trial with at least 10 dogs in competition. The points are earned by placing in the top 20% of the class. For example: In an Open Class of 10 dogs, two will earn points. The First Place dog will earn two points and the Second Place dog will earn one point. In an Open Class where there are 15 dogs in competition, three dogs will earn points. The First Place dog will earn three points, the Second Place dog will earn two points and the Third Place dog will earn one point. Documentation of the point earning trial placements such as a copy of the Open Class trial results will act as point-earning qualifications. This award will apply retroactively to member’s dogs. Recipients of the award will receive $100 from BCSA acknowledging the accomplishment. Dogs and handlers will also be highlighted in Borderlines. Please complete the Stockdog of Distinction Form and mail with proof of requirements to Kari Lavalli – 4 Pleasant Street – Blackstone, MA 01504. Please send only copies of titles or other documents. Frequently asked questions.